Yesterday (26th March) marked ten years since ‘Rose’ was broadcast, rebooting the Doctor Who franchise in a new era. I remember being encouraged to start watching by relatives who had good memories of classic who from when they were younger. As a family, we sat down to watch this new series and by the end of the episode, I knew I would be a regular viewer. The risks surrounding the programme coming back were large. It was agreed that it would be made in Wales by BBC Wales as part of a scheme to regionalise production and meet an internal target that a certain percentage of programmes should be made in the regions (i.e outside London). Another risk was that Doctor Who had been off air for years. The last series featuring the seventh doctor was aired in the late 80s and a television movie had been made featuring Paul McGann’s eighth doctor in 1996. This means there was almost a decade between the new series starting and the last time Doctor Who had been on air. Also, would audiences be interested in a fantasy, sci-fi family programme and would it achieve the ratings to keep it on air? Luckily, New Who got it right and the programme is currently filming its ninth series. New Who’s 10-year anniversary hasn’t received as much attention as the show’s overall 50th anniversary in 2013 but its contribution has been celebrated by fans, including current Doctor Peter Capaldi. If I’d been a bit more organised and not watching Battle for Number 10, I would’ve written this blog post yesterday to coincide with the actual anniversary. Click continue reading to find out what my TEN favourite New Who episodes have been from the last decade. And so my love of the daleks began. I’d enjoyed all of Series 1 thanks to the brilliance of Chris Eccleston’s casting and the introductions to everything; the tardis, the doctor, aliens and monsters. I think this episode particularly stands out for me because I remember getting goosebumps watching it as the dalek is revealed. Here was an alien my parents and other older relatives had spoken about and got excited about being introduced to a new audience. I may have discussed in another blog post (The Curse of the Fan perhaps?) fans criticising the current writing team for failing to interest them and create exciting stories. I know, for me, that ‘Dalek’ and indeed series one as a whole was truly special because there was a sense of mystery and excitement regarding the characters, aliens and ideas and their subsequent reveals/introductions which captured my imagination as a twelve year old. I was the right target audience for the programme and I was experiencing stories and characters that I hadn’t met before. Perhaps, some fans need to recognise that their position as an audience member has changed in a decade. Aside from the episode introducing the dalek to 2005 audiences, it was also very well written and allowed the audience to understand the characters better. Rose’s caring nature is emphasised when she doesn’t make it through to the safe zone and shows kindness to the dalek. The Doctor, in the clip I have included above, shows a full range of emotions. From panic when recognising a dalek to gloating about the Time War with evident hatred, this interaction between the Doctor and dalek not only demonstrated Christopher Eccleston’s amazing acting but hinted that the new Doctor is a complex character. David Tennant’s first proper episode (excluding The Christmas Invasion) of Series 2. It was lighthearted, fun and really set the dynamic between the tenth doctor and Rose straight away. It also linked nicely to The End of The World, coincidently the ninth doctor’s first non-Earth based story, with the return of characters like The Face of Boe and Cassandra. I loved Zoe Wannamaker as Cassandra – so much sass. A great source of humour came from when Cassandra inhabited the Doctor and Rose’s bodies – brilliant comedic acting from David Tennant and Billie Piper in those scenes! I had to include it didn’t I? The return of a classic who character in New Who was a bold move and luckily one that turned out successfully for Elisabeth Sladen who then got a five series spin off children’s programme The Sarah Jane Adventures. I have watched this episode many times as it is one of my favourites (I also watched it multiple times as part of my dissertation sample). 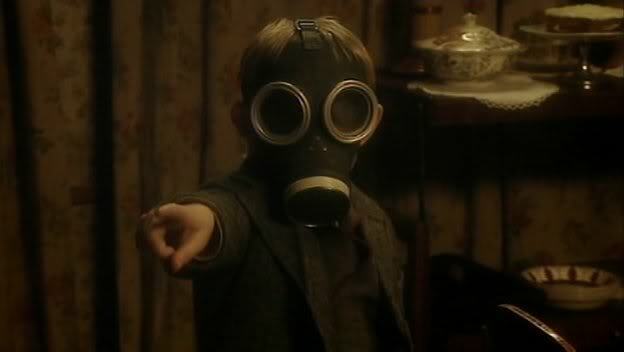 There are many key points which make this episode enjoyable for me: the return of Sarah Jane and K9, the Tenth Doctor’s joy at seeing his old companion, the emotional scenes between Sarah Jane and the tenth Doctor, Rose and Sarah Jane’s relationship and the pure brilliance of Anthony Head as the headteacher/krillitane. Another great episode by Steven Moffatt. It took a different narrative structure than the other episodes with the Doctor and Martha having a VERY minimal role and screen time. Instead the episode focused on Sally Sparrow trying to protect the Tardis from the grasp of the Weeping Angels without blinking. 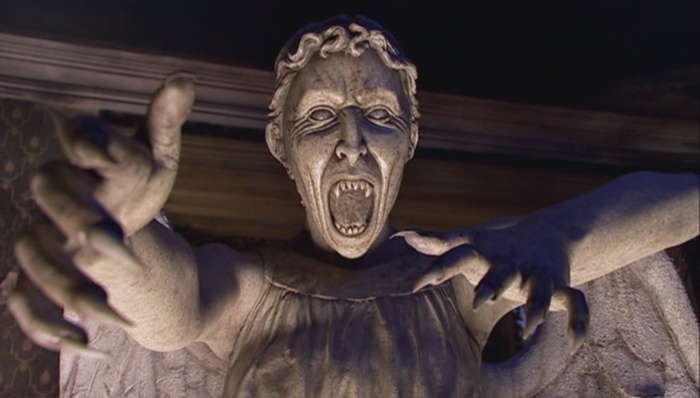 This episode was the first time we met the weeping angels (a monster that has since been overused and lost its scariness). The ordinary and recognisable stone statues turned into something quite frightening definitely made people wary of gargoyles and stonework after it was broadcast. Purely for the above scene and that this story features the cutest little monsters ever seen on Doctor Who in the form of the Adipose. In hindsight, Donna was a very good companion. She was truly and simply just a friend to the Doctor and challenged him. At the time of viewing, I wasn’t sure what to make of Catherine Tate and was worried that I would see all her other comedy characters in Donna. I wasn’t particularly a fan of Amy Pond as a companion and Matt Smith is my least favourite New Who Doctor although he did have his moments. This episode, however, moved me. An historical episode featuring the artist Vincent Van Gogh, sensitively portrayed by Tony Curran, was a gentle and personal tale. 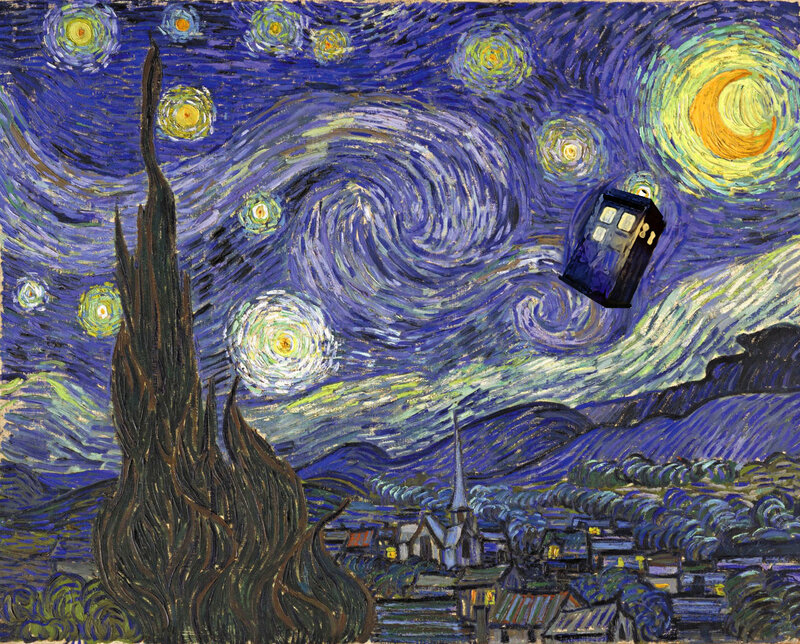 Although impressed by the artwork which incorporated Van Gogh’s style with Tardises, the Krafayis (the monster) was not interesting at all. The episode’s highlight is a beautiful scene at the end where Bill Nighy praises the genius of Van Gogh with the artist, unknown to him, present. Yet another dalek story. What makes this episode so special is that it introduced Jenna Coleman who had just been announced as the new companion Clara Oswald ahead of her series. 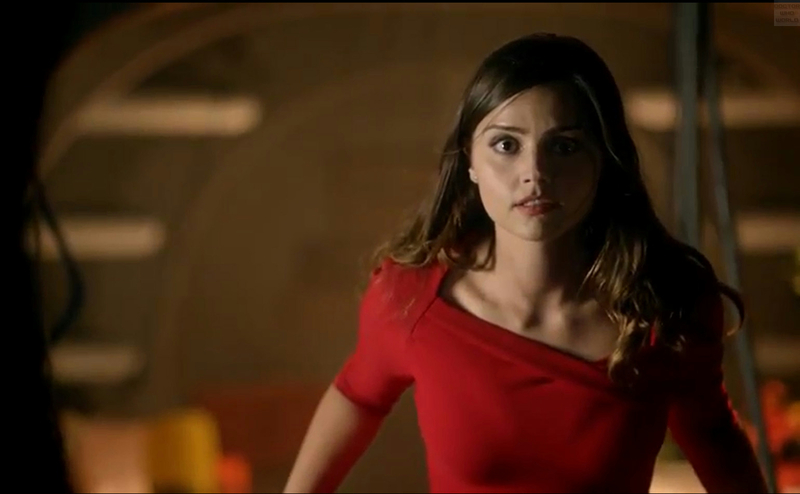 In this episode, Jenna plays Oswin Oswald who guides the Doctor around the asylum until he finds her. Oswin believes herself to still be alive, stuck inside the spaceship making souffles but in the end, it is revealed that she was a dalek. 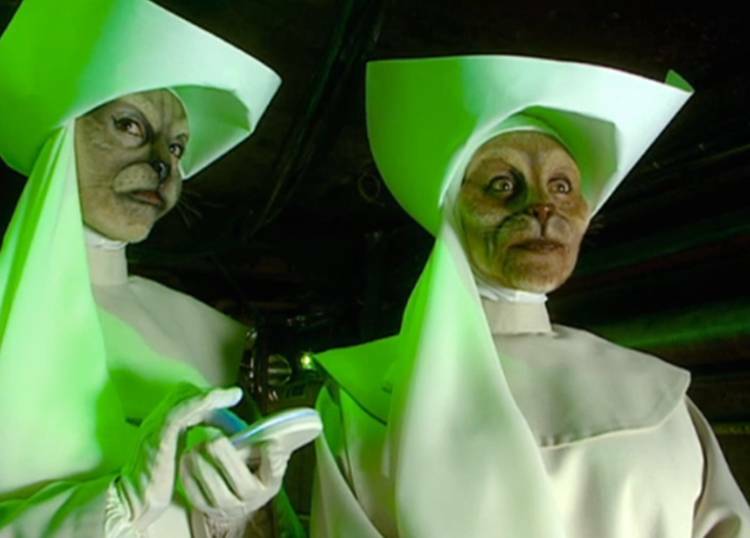 An interesting choice to include the actress and a form of the character ahead of her own series but it worked as fans were puzzled at how she continued to appear in Doctor Who. It marked the beginning of the ‘Impossible Girl’ character arc for Clara and was a good way of keeping the fans intrigued by the enigmatic appearance. Ok, so technically this one is a minisode and not a full episode. It was released on Youtube and BBC iplayer almost two weeks before the 50th anniversary special episode and acts as a prequel by showing the transition from the eighth Doctor Paul McGann, previously seen in the 1996 television movie, to the War Doctor, played by John Hurt, who was to play a crucial role in the 50th anniversary episode. I liked how it showed Paul McGann’s continuation as the eighth Doctor since the movie and how it acknowledged his companions from the Big Finish audio collections, something that has never been referenced on the actual programme before. It was interesting to see the acknowledgement of other mediums that Doctor Who stories are told on and indicates that there is a whole era of the eighth Doctor that is absent from television representations of him. My favourite episode from Peter Capaldi’s first series as the Doctor. It was a good standalone episode which featured lots of humour whilst continuing the series’ narrative arc of the promised land and technology. Strong performances by Tom Riley and Ben Miller should be noted. 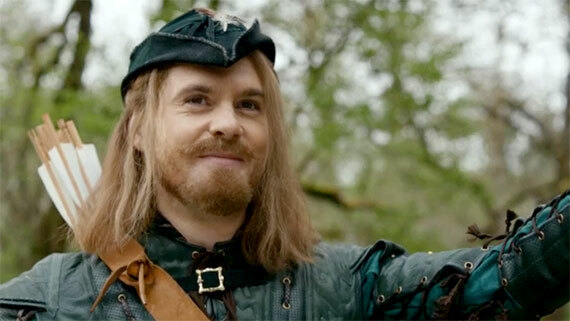 It reminded me of the BBC series of Robin Hood from the mid 2000s, another series which I loved which is why I probably liked this episode so much. It was also reminiscent in parts of the classic Who serial ‘The Time Warrior’ from the Jon Pertwee era. The Time Warrior is yet another episode I watched many times as part of my sample for my dissertation. I think the similarities between them are that they are both set in medieval periods and that the alien or robot has taken over the castles in order to repair their spaceships. I like how series 8 has included nods to classic who. It has made the latest series of New Who unique as it has infused the two eras – classic and new – together.